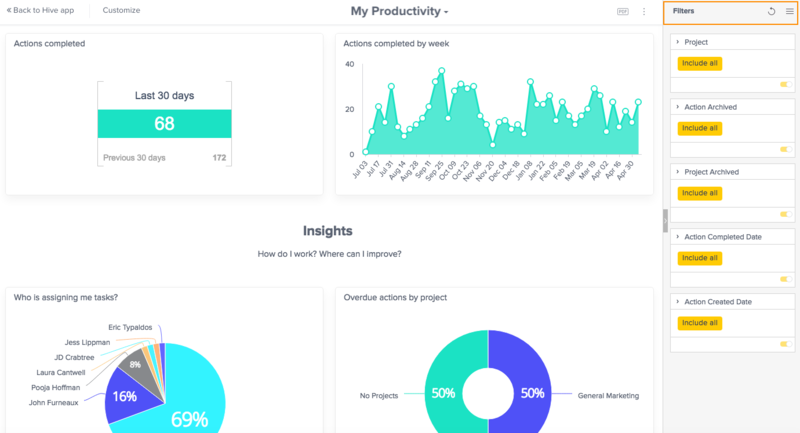 All Hive Analytics dashboards have global filters that apply to every widget in the dashboard. 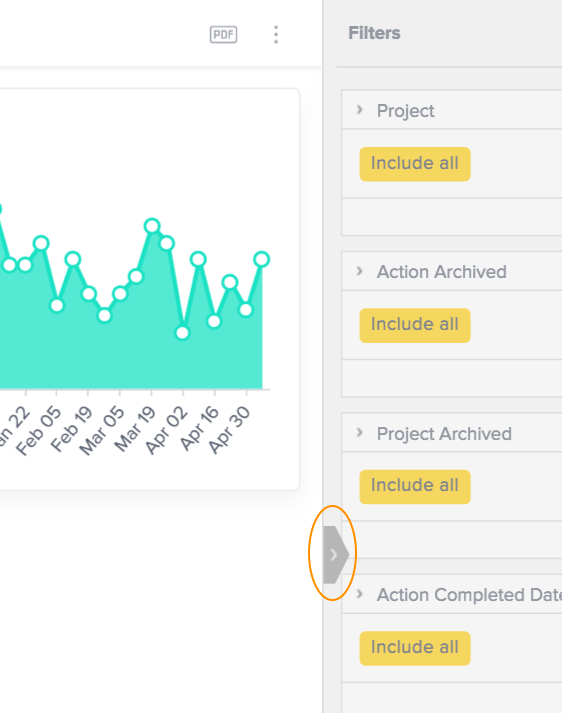 One example is the projects filter. The default setting is to show all projects, but it is editable. So if you want to see the productivity for only one project, you can create that filter. 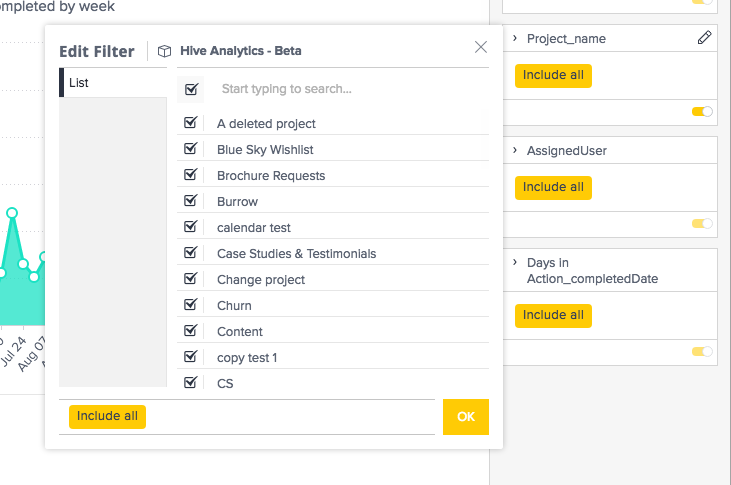 These filters automatically are shown every time you open Hive Analytics. Click the edit pencil on the filter you want to change. Select the project(s), person(s), etc. that you want to filter and press ok. It should automatically update your dashboard. Click the gray arrow on the left hand side of the filters panel.